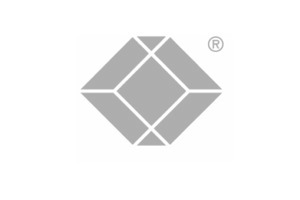 When you do business with Black Box Resale Services, you can be sure you are getting the highest quality refurbished and repaired equipment that has been through our rigorous testing, certification and repackaging processes, done entirely at our 80,000-square-foot facility in Minneapolis, Minnesota. Let’s take a few minutes and show you exactly what we do. 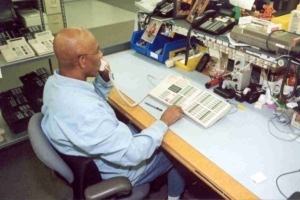 We start by extensively testing and evaluating the telephony product to see if it, in fact, needs to be repaired. If it does, then we take it apart, repair it, and, before reassembling it, test it again to make sure it's fully functional. And, unlike a lot of resellers, it’s not just a simple pass/fail tester we hook it to. Our facility has a complete switch test lab where we plug the products into working switches. This way, we know it’ll actually work in a real-world application. Before putting it back together, we focus on making it look like new. That can include cleaning, sanitizing, or even replacing the shell. Unlike many competitors, Black Box has its own in-house paint center where discolored or otherwise imperfect phones are repainted. 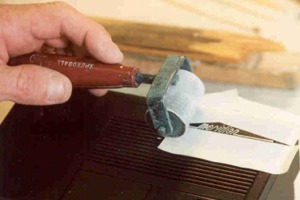 In addition, a silk screen painting process is utilized to repaint manufacturer logos and icons where others use stickers, or do not repaint at all. All discolored keys are replaced with new keys and preventive maintenance is performed on each phone to prevent known problems. Rest assured, your Black Box refurbished phone will look and perform like new. After the equipment is reassembled, it is once again tested and certified. It is then packaged with a new cord, extra keys, and new product literature. It goes through yet another quality check to ensure that your equipment will work and look the way you need it to. In fact, when you see a new and a Black Box refurbished phone side by side, there's no discernable difference between the two. It looks, and most importantly performs that good. 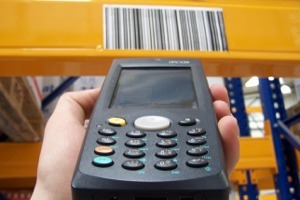 Our Electronic Data Collection System helps us to maintain our inventory accuracy and manage material movement from the warehouse floor through the utilization of barcodes and wireless barcode scanners. Black Box Resale Services practices Lean Manufacturing principles throughout our 80,000 square-foot facility. Lean is a production practice that considers the expenditure of resources for any goal other than the creation of value for the end customer to be wasteful, and thus a target for elimination. In a more basic term, more value with less work. This translates to lower costs, higher quality, and shorter lead times for you.